Some exciting news at SheCooks.Design. I am going back to school…culinary school that is! And to my luck, there is a perfect 3-month certificate program…in Ireland! Yep, I’ll be spending a few months in Ireland at the Dublin Cookery School in a small village south of Dublin called Blackrock. It’s ticking all my boxes of living in Ireland and going back to culinary school. I’ve been contemplating and researching this venture for a long time, and finally decided to take the leap. The adventure begins early January through March, 2020. Dublin Cookery School is a two-time recipient of the Best Cookery School in Ireland. It has an amazing program with a state-of-the-art cooking studio. The course is very extensive, all day every day, with a week working in a high-end restaurant kitchen in Dublin (Lord help me on that one!). Field-trips to cheesemakers, fisheries, a butcher shop and foraging for seaweed! Total immersion! Why am I doing this you might ask. Well, so many people have no idea how to put dinner on their table or know where their food comes from. That is what I want to change. My goal is to teach adults and kids how to cook. Another skill I’m exploring is recipe development, creating recipes for companies and restaurants. That is something I do (and love) every day for home and my website, and I’d like to continue doing this on my new career path. Going back to school will give me the ‘chutzpah’ I need to get/keep moving on this new career journey. It will push me to learn new techniques, try different foods and other things I wouldn’t probably do on my own (like butcher a lamb!?!). I’ve started talking to many people in town about doing all the above and getting the ball rolling on it. I am over the moon excited! Here’s the link to Dublin Cookery School, if you want to take a peek. 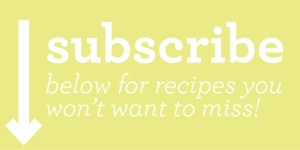 I will continue to write in my website (and recipes when I can!) about my travels, the foods of Ireland and the glorious scenery. Follow along with me, I promise it will be worth your while. This video on the quality of Irish food produced by Imen McDonnell. Imen is an award-winning writer (Farmette cookbook) and producer of all things (food and otherwise) beautiful. Small Green Fields, is a lovely snapshot of how I would like everyone to think about Ireland for its amazing abundance. Shelagh Geraghty Mullen is lead designer at SheCooks.Design, a graphic design studio with experience in food and healthcare branding, print publications, websites, and packaging. Shelagh helps small food start-ups brand their products. She is also Chief Cook and Bottlewasher in her kitchen developing recipes and writing her food blog. Shelagh has a passion for all things food. She has art directed food publications, produced logos, packaging and branding for multiple small food businesses. She opened SheCooks, a whole grain baking mix business in 2006, supplying the Twin Cities area with delicious, healthy and locally-produced mixes. Shelagh also teaches cooking classes in her home kitchen, convinced we will all be healthier and happier if we know how to cook. Stay tuned for the pizza oven being built in our backyard (can you say Pizza Classes!) Spring/Summer 2019. The photo link if of the pizza oven we built at our cabin. Such good memories! Shelagh received a liberal arts degree from the University of Wisconsin-Stout in Art with a Graphic Design minor. She has also received numerous awards for graphic design. *”And! 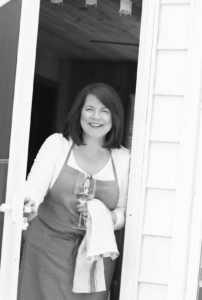 she’s really fun to work with.” Shelagh also has a Culinary Certificate from the Pennsylvania Culinary Institute (now Le Cordon Bleu) in Pittsburgh yet Shelagh is proud to say, most of her skills have been self-taught, and recipes are family approved. She lives in St. Paul, Minnesota with her husband and two teenage girls. Shelagh is currently in the process of combining Mullen Design Works with the new SheCooks.Design, like she has said before, graphic design and food, what a perfect a combo.